Nestled in Jammu and Kashmir, Ladakh is a getaway which offers scenic views, adventure activities, trekking experiences and tranquillity. 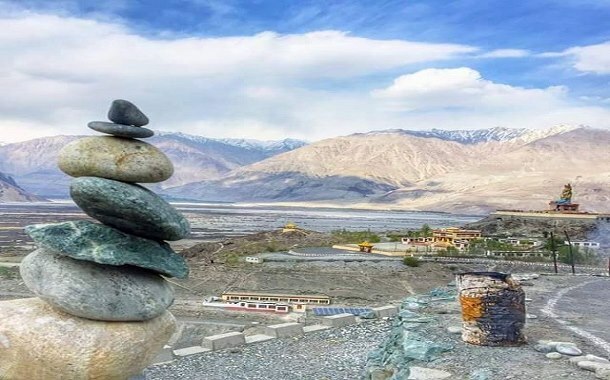 From majestic mountains amid lush green valleys and sumptuous momos to ancient monasteries and smiling faces, you will fall in love with every bit of this paradise. Scroll down to catch a glimpse of this haven which is simply out of this world. Childhood is the best phase of life - a carefree attitude filled with innocence right? 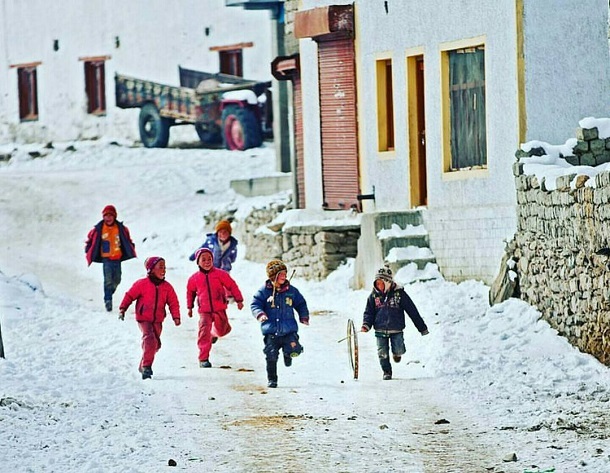 These kids are having a ball, playing outdoors during the winters. 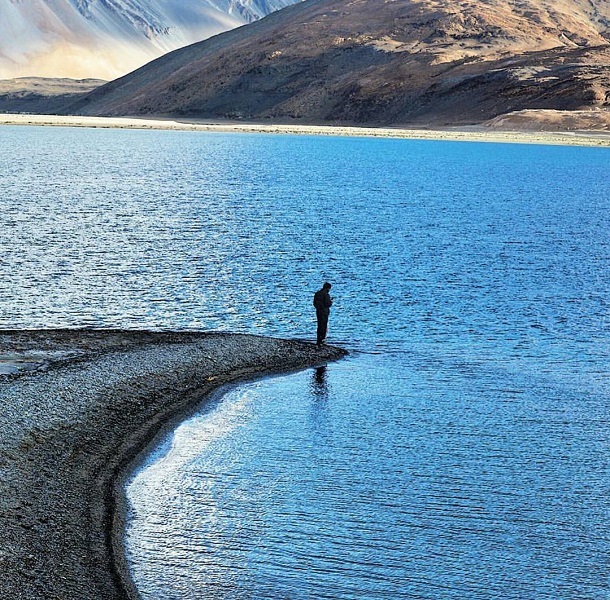 This is the Pangong Lake from the movie - 3 Idiots! Its blue waters and serene aura will transport you to a fantasy land. 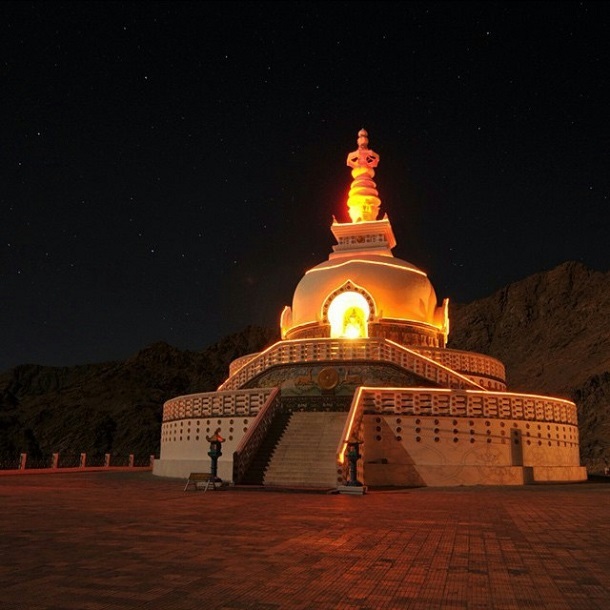 The glowing beauty of Shanti Stupa is breathtaking right? As the name suggests, try meditating here for inner peace and lasting happiness. 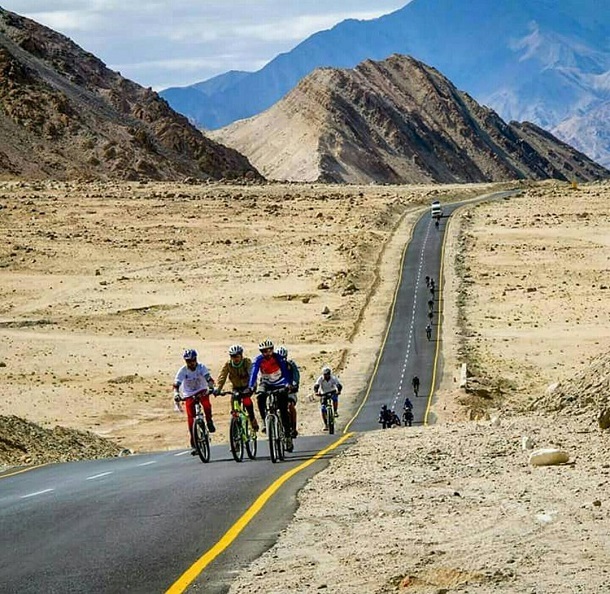 From Camel safari and trekking to Yak safari and cycling/biking, you can explore the picture-perfect landscapes of Ladakh, your way. 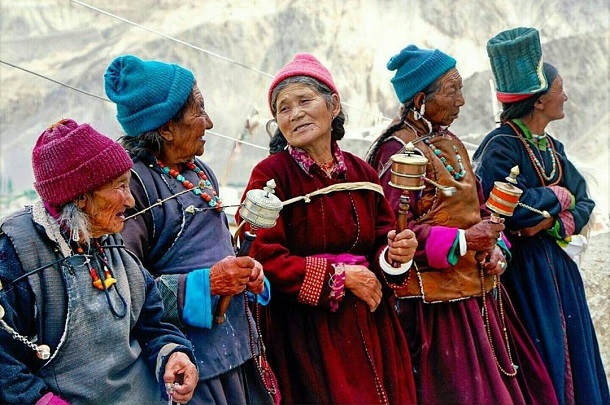 With small drums in their hands and dressed in traditional attire, like any other women, the Ladakhis too indulge in endless conversations. Sleeping under the blanket of stars is every wanderer’s dream! 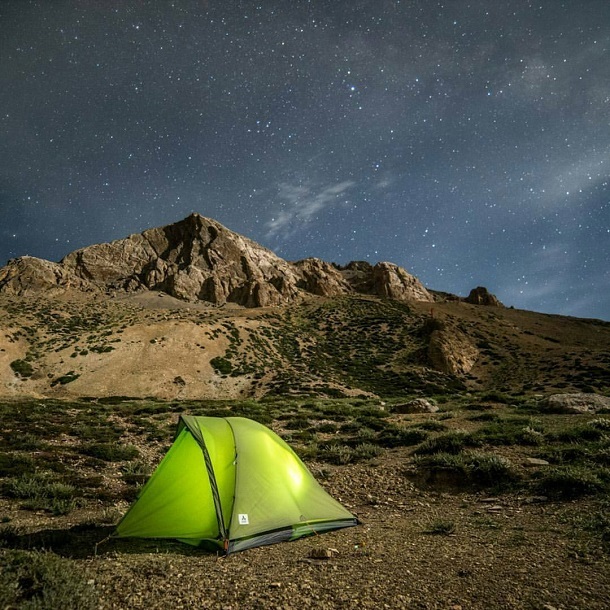 Picture yourself camping in Ladakh with countless stars above you, feels magical right? 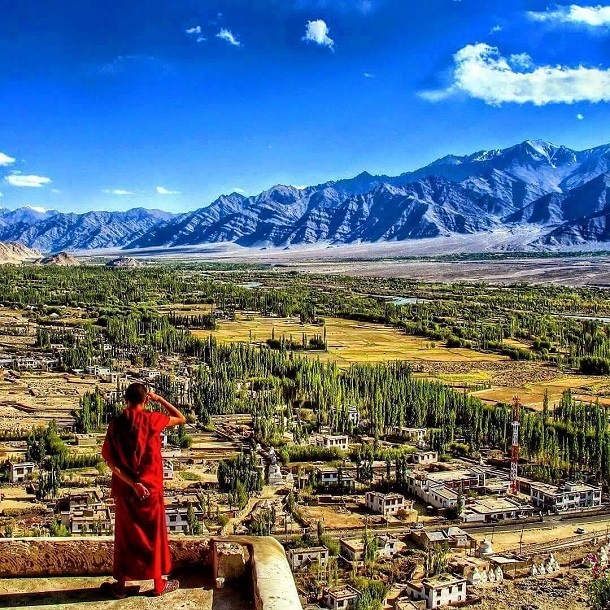 This is the spectacular view from the Thiksey Monastery. These natural landscapes appear larger than life, don’t you agree? 8. The cute smile of this kid is priceless! 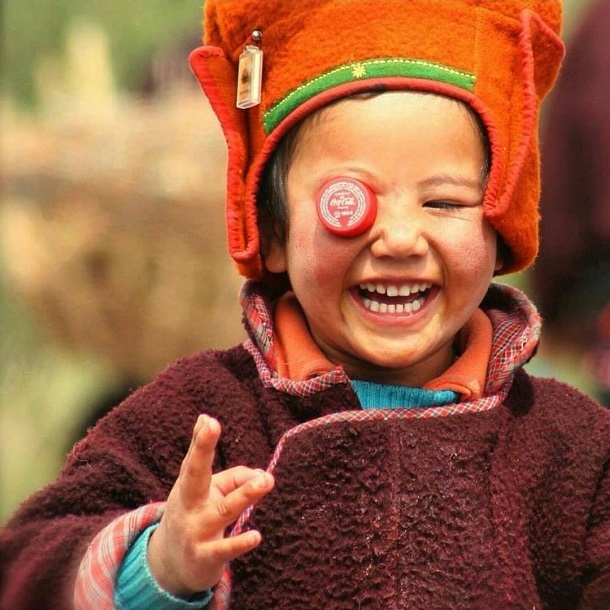 A smile a day, keeps worries away - is the message we can take from this kid. One of his eyes covered with a soft drink cap, his playfulness takes you back in time. Choose from our Ladakh holidays and experience your best vacation ever.